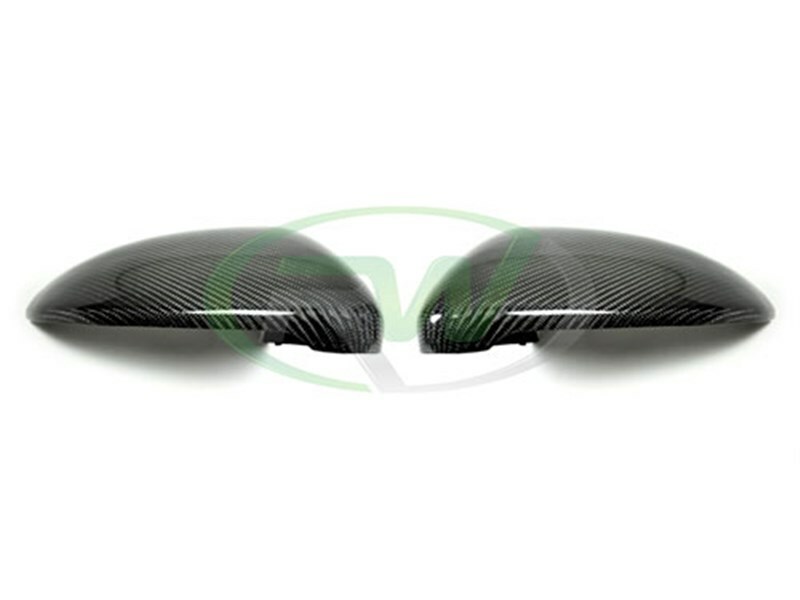 RW Carbon is now offering the new Volkswagen MK7 Golf owners a chance to own our carbon fiber mirror cover replacements. These mirror replacements are not just a cover the goes over your existing mirror housing but rather a full piece that replaces your existing. They are made using a ABS plastic base. This ensure a strong and durable piece while being lightweight. Each one is then covered in REAL carbon fiber fabric and is finished with a deep crystal clear coat. RW Carbon inspects and quality controls each VW MK7 Golf mirror cover replacement before they leave our facility. We know there are many companies out there stating that they have the best exterior or interior carbon fiber parts for your VW MK7. At RW Carbon we pride ourselves on taking the time to quality check all of our outgoing shipments. When you order from many companies online they are shipping a product straight from overseas that has not been quality controlled. If you order one of these parts you could receive a set of mirror covers that are damaged, have scratches in the clear coat, or posses overall poor carbon fiber construction. By choosing RW Carbon we make the promise to deliver you a consistent, quality product that is shipped from our Southern California location. Additionally, all products shipping from our warehouse are meticulously inspected, and packaged to ensure you receive the best possible carbon fiber mirror replacements for your Volkswagen MK7.